SAY Confident Voices One Act Performances are held at the Five Angels Theatre in NYC. If you live in the NYC tri-state area, consider volunteering with SAY! They offer a variety of roles foe a diverse set of skills, interests, and schedules. Join incredible SAY supporter Ken Caporale on July 14th for a full-day of golf, fun, camaraderie and doing good by supporting SAY: a children's charity. Attended a great benefit for Stuttering Association for the Young last week! It’s almost time for Paul Rudd’s All-Star Bowling Benefit for SAY! xa0Save the date - January 18, 2018! Sign up for the ThatHelps newsletter. Get opportunites to help sent to your inbox. Sign up for the ThatHelps newsletter to keep up with how the world is helping, and to discover new ways that you can help the things you care about most. Please don’t show this message again. 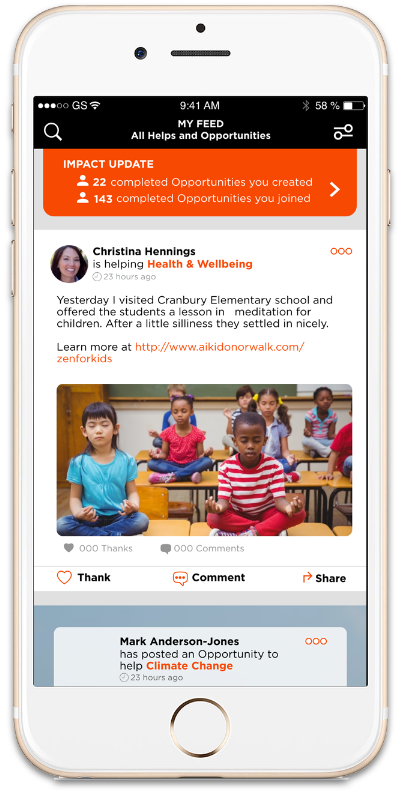 Download the ThatHelps app for a more personalized experience, additional opportunities to make a difference, and to get plugged in to a community of like-minded helpers.